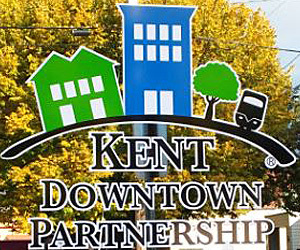 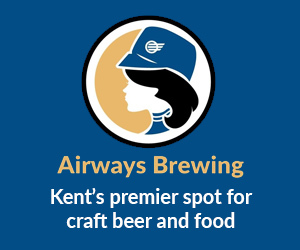 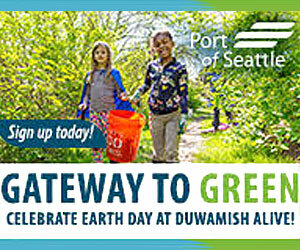 At Noon on Wednesday, May 30, around 30 people gathered on a street corner across from the ShoWare Center on West James Street to cut a ribbon and officially dedicate new Traffic Signal Controller Box Art Wraps that the City of Kent has had installed. 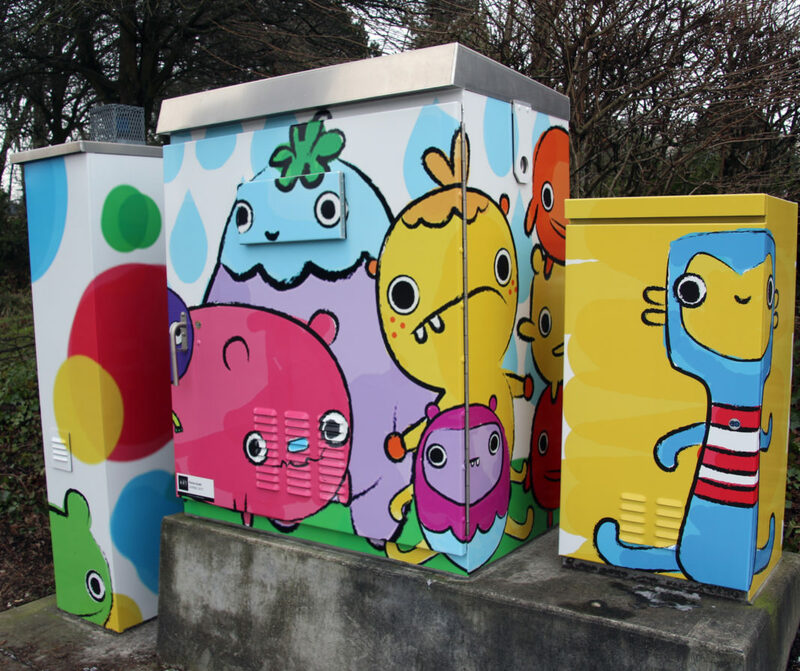 The ceremony – which was centered around Fin’es Scott’s colorful and playful art of curious cartoon characters (pictured, above) – included Cultural Programs Manager Ronda Billerbeck, Artist Jill Erickson (whose art is on a box at Willis St. & SR 167 North), Officer Mike O’Reilly of the Kent Police Department, Mayor Dana Ralph, Councilmembers Brenda Fincher, Satwinder Kaur and Toni Troutner, as well as numerous city staff, artists, business people and residents. 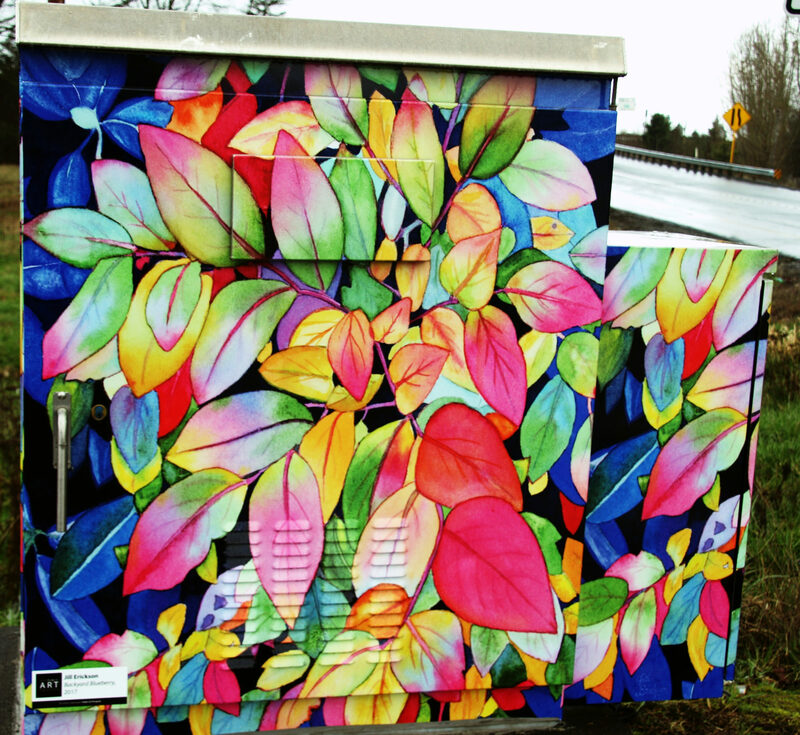 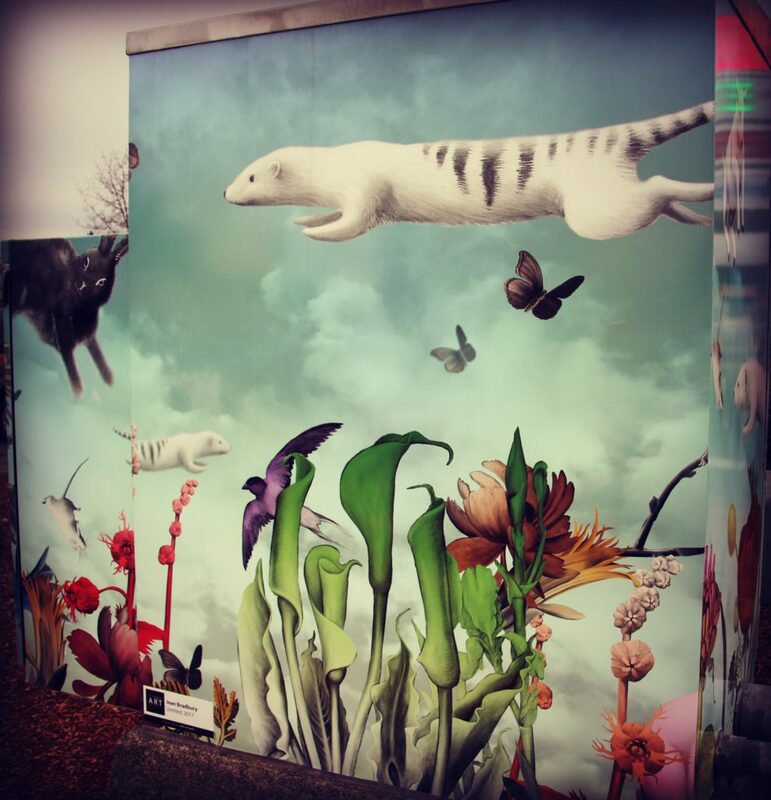 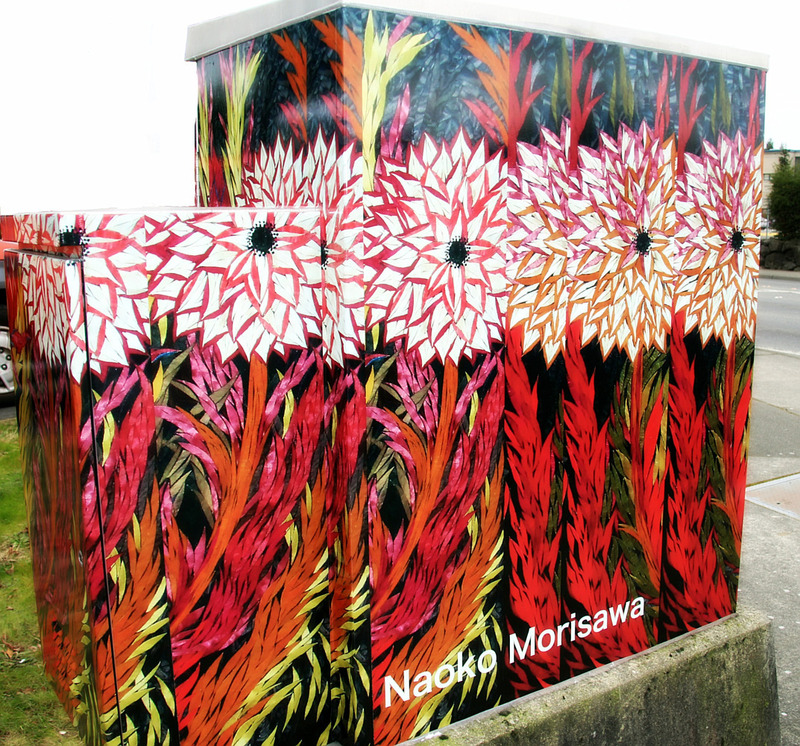 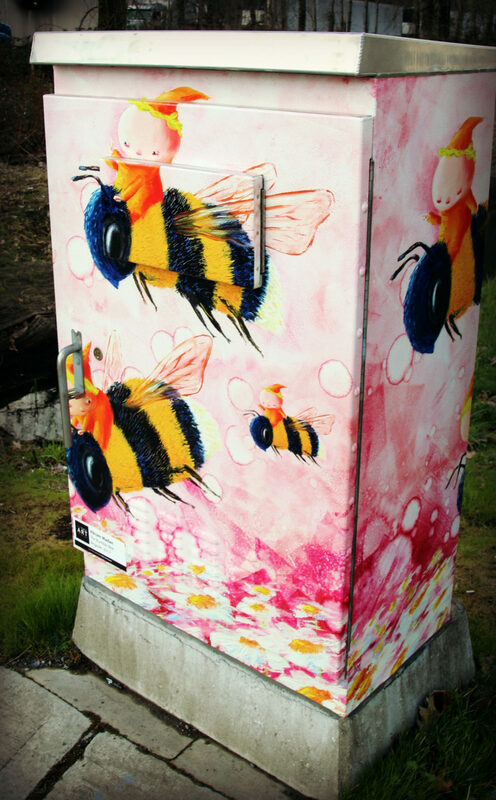 As we previously reported, what began a year ago as a partnership between several City departments to deter graffiti and beautify unsightly boxes that control traffic signals has become part of Kent’s Public Art Program and has resulted in five artworks at different locations.